Rome was my very first stop on my journey across the seas! I managed to break free from the Australians upon arrival in Rome. Surprisingly I made it to my hostel without any hiccups. I even quickly made a friend and 24hrs after jumping on a 6am flight I was sharing red wine on the balcony of the hostel with new American friends. This was just the start to what truly was a great time in Rome. What’s that? 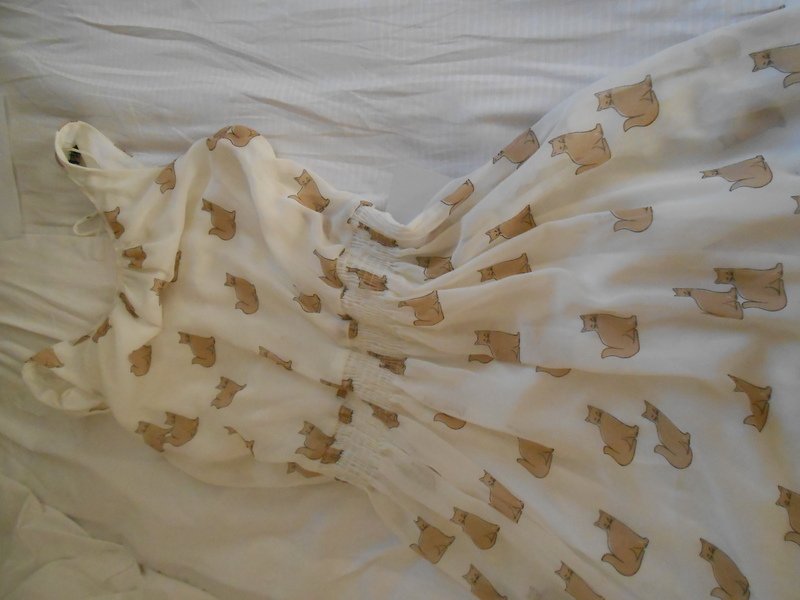 A Cat Dress? You better believe it baby! I made another friend in the form of a waiter called Alessandro! I began enjoying Rome so much that I became a little over confident. 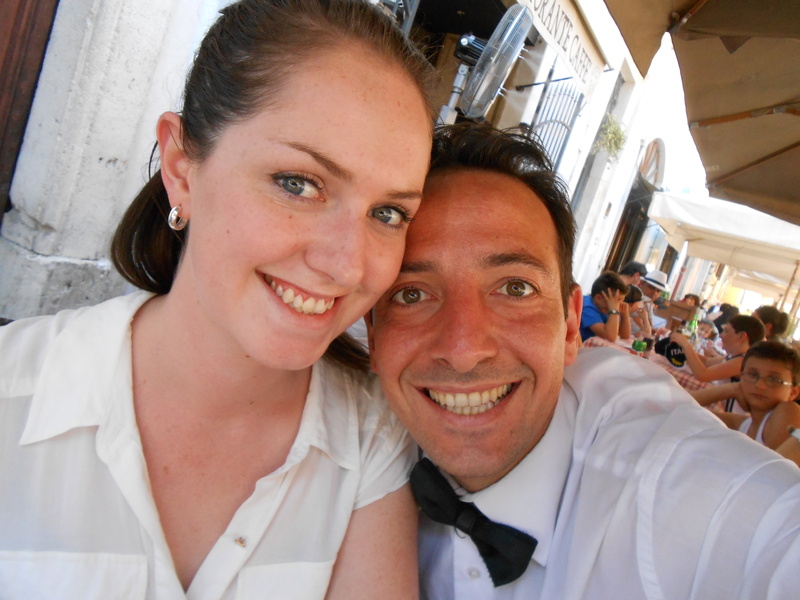 Alessandro had taught me how to ask for the bill in the Italian and explained some basic language in relation to food, so I felt I was prepared for the Italian menu…how wrong I was! I was at a lovely little cafe when the waiter rushed over to give me the english version of the menu. 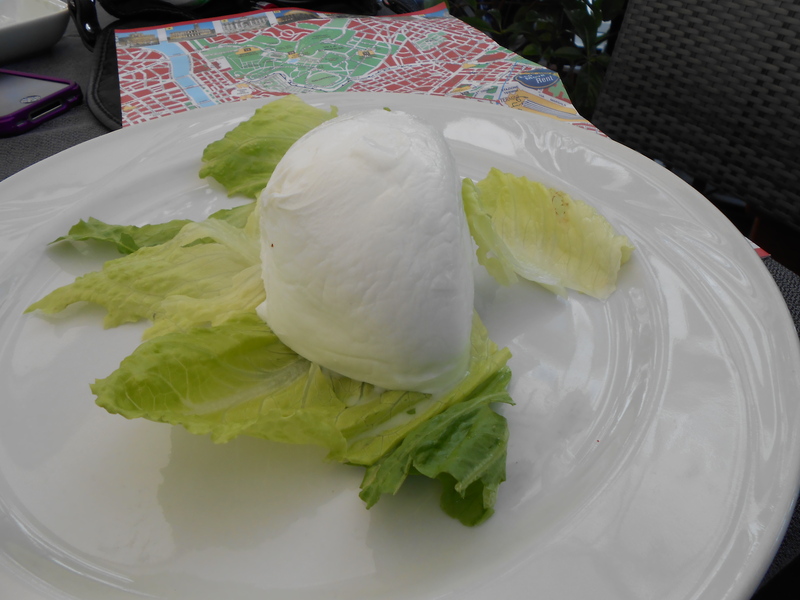 My giant Mozarella Ball…lost in translation or cruel joke on the foreigner? What would you have done? Admitted to your mistake? Told the waiter to take it back? Ha. I was too embarrassed and shocked. So, well, I ate it…all of it (except the lettuce). And just as I thought I couldn’t be any closer to making myself sick on a cheese-overdose I read the bill which stated that in total it was a 300g ball of mozarella. Can you please get me a cat dress too? I laughed so hard at this blog I couldn’t breathe.